You blinked, and the kids moved out; now you’re wondering what to do with all that extra space. It’s time to renovate your home to fit your new lifestyle. The open floor plan that suited you so well with little ones underfoot can be transformed into a beautiful entertaining space. The extra cabinet space in your kitchen that was filled with lunchboxes and snacks can be replaced with a wine and beer fridge. Installing new lighting and a dramatic chandelier is a great way to add drama and ambiance to your dining room. 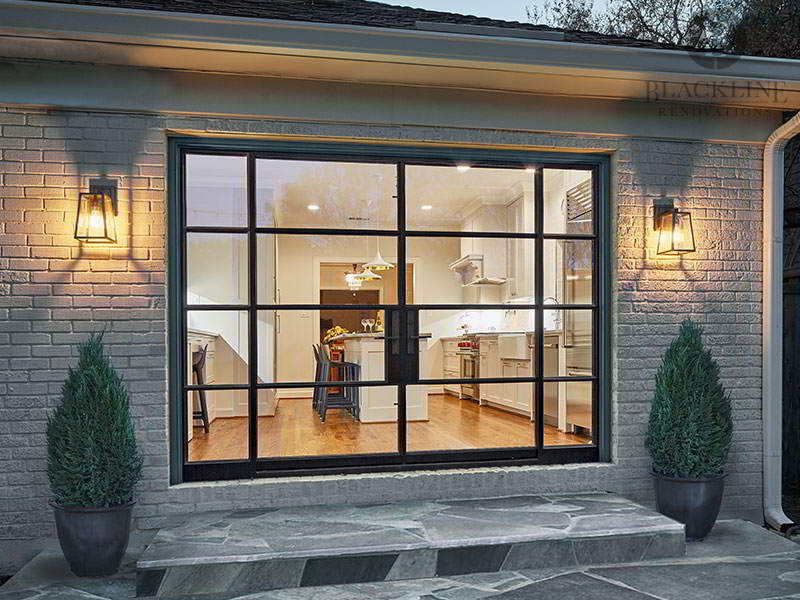 Create a flow from inside to outside entertaining space by installing a sliding patio door and steps. Childhood bedrooms can morph into exercise space, craft studio, or even an office. Swapping carpet for hardwood would be a great choice if you wanted your own in-home yoga studio. If you still want to preserve some sleeping space for guests or visiting children, you could also incorporate a sleeper sofa or fold out chair into the design of the room to get extra seating and sleeping space. For a major change, try combining two smaller bedrooms to craft the master suite of your dreams or turn one room into a giant walk-in closet. Like we talked about in this article, if you’re preparing to stay in your home for the long haul, you can make changes now that will make aging in place easier. When it comes to bathroom renovations, it’s a good idea to go ahead and install grab bars, a bench or seat, and some non-slip flooring. The next chapter of your life is yet to be written, but with renovation you can live happily ever after in a home you truly love.